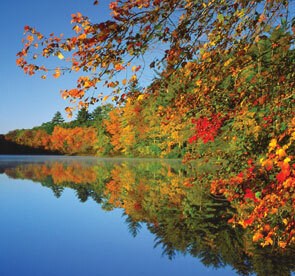 Immerse yourself in the romance of fall along the northeastern shores of New England and Canada. Here, rolling hills are blanketed in a blaze of red, orange and yellow, and rocky coastlines are kissed each morning by a rising golden sun. Explore the cosmopolitan grace of French Montréal and the charming cobblestone streets of Old Québec. From Bar Harbor, visit Acadia National Park, where you may opt for a guided hike on Gorham Mountain that offers stunning views and plenty of fresh sea air. From Boston’s historic Freedom Trail to Nova Scotia’s wildlife trails, come and discover the autumnal beauty of North America from the six-star luxury comfort of Crystal Symphony. Fares as low as $2,499 and Cocktail Receptions, Gratuities and More! Cocktail Receptions, Gratuities and More! All fares and savings are per person, in U.S. dollars based on double occupancy. 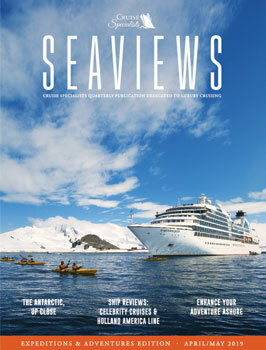 Cruise Fares and Your Exclusive Fares are cruise only and do not include taxes, fees and port charges. Your Crystal Savings are subject to availability at time of booking. Your Exclusive Fare includes Crystal Savings as well as applicable Early Bookings Savings if available and does not include Crystal Society or Early Full Payment savings. Optional Personal Select Air Program is available to purchase for full-fare, full-cruise guests whose travel originates from a U.S. or Canadian airport and includes all government taxes and fees. Note: Early Full Payment savings do not apply to Personal Select Air. Solo Traveler fares are available upon request. Crystal Society Savings are per person based on double occupancy. All offers may not be combinable wiht other promotions, apply to first two full-fare guests in stateroom or suite, are capacity controlled, subject to availability and may be withdrawn or changed at any time without notice. We reserve the right to correct errors.